Engage a local expert with exceptional service and great value for money. 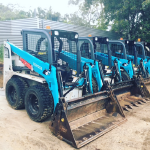 We offer a wide range of earthmoving equipment with or without an operator. 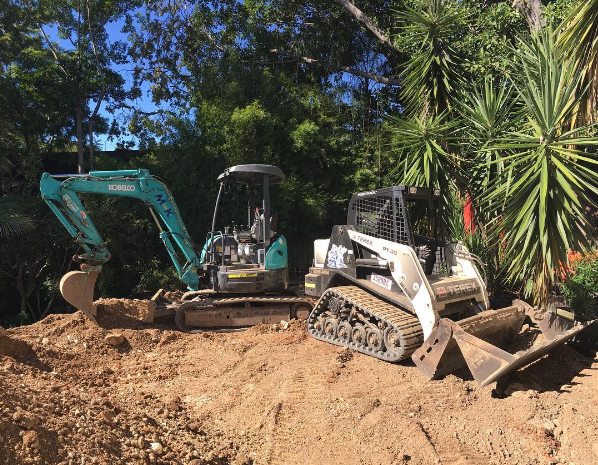 If you need a earthmoving hire Brisbane, you need a contractor that’s big enough to guarantee reliability, yet small enough for service that really solves your problems. 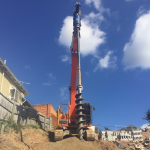 We know you’re really hiring our machines because you need a hole dug, a structure knocked down or bulk materials moved. You have a problem and, through our equipment, experience and expertise, we have your solution. 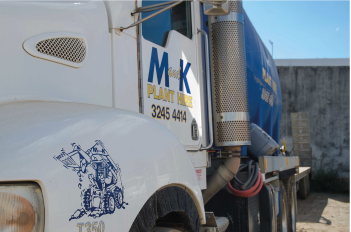 M&K is built on word of mouth – that’s just another way of saying our reputation got us where we are today: still growing after more than 20 years in the trade. There’s also more to word of mouth than what people say about us, it’s also about how you and M&K can talk about how we can both make your construction or demolition or engineering job a success. 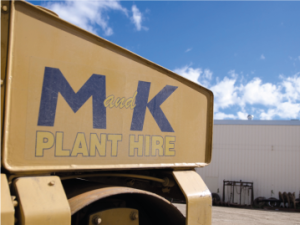 As a family-managed earthmoving contractor, you can rely on M&K for trust, integrity, top-notch equipment and old-fashioned hard work. Machinery hire is who we are. Our staff and subcontractors are like our extended family. It means doing a good job is in our blood. 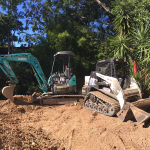 We work as closely with homeowners on their renovations as we do on large civil excavations. 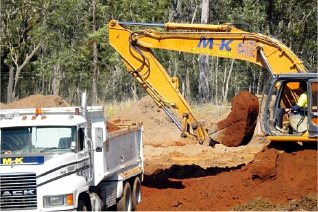 M&K are the Brisbane earthmoving contractors who’ve got the runs on the board. We’ve carved our reputation through decades of giving every job a personal level of attention. Because when you call us in to work on your job, it becomes our job too. 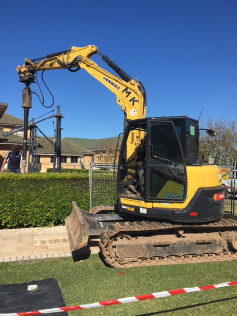 With so many long-term staff and subcontractors, combined with a constant drive to improve, our earthmoving operators and foremen know their stuff. They have to. The machinery game is always changing: experience counts for a lot, but staying up to date counts for the rest. That’s why our people offer you the full package. You don’t want anything to go wrong on your job site. Neither do we. We never take chances. 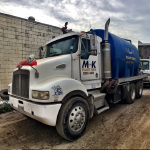 Because M&K sees all its people as part of a big family team, we’ve been leading the WH&S field since day one. All our staff are fully inducted and trained that there’s no such thing as a good job done dangerously. We firmly believe that no contract’s worth more than going home safe each day. 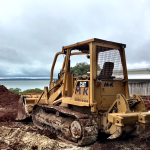 You can rely on an earthmoving contractor that always has the right equipment for the job. 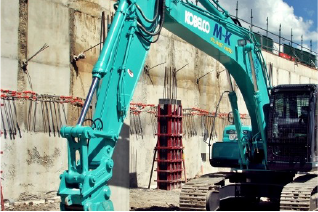 Whether that’s a single mini-loaded or a 10-tonne combination, M&K carefully matches the right machine to each job. 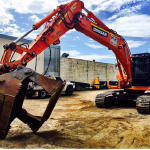 Choosing the best equipment for each kind of job is why our fleet stretches across all the brands and sizes.